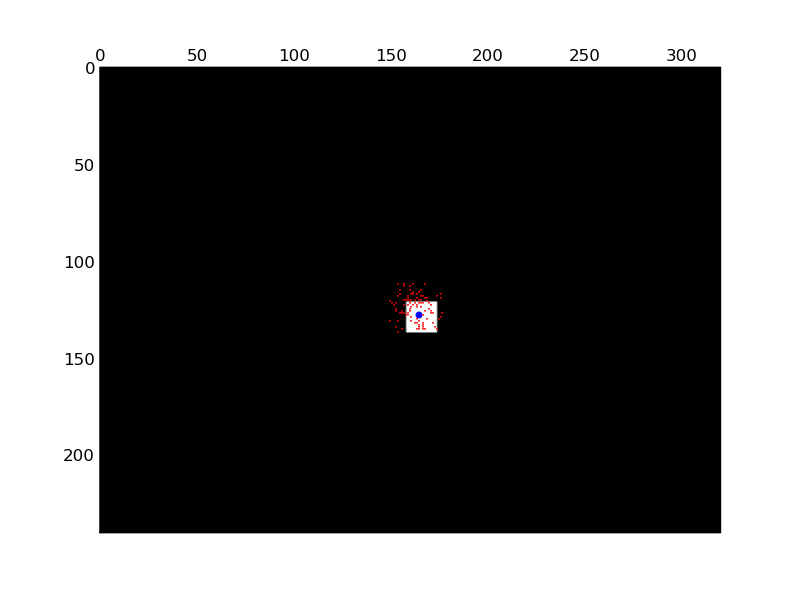 A basic particle filter tracking algorithm, using a uniformly distributed step as motion model, and the initial target colour as determinant feature for the weighting function. This requires an approximately uniformly coloured object, which moves at a speed no larger than stepsize per frame. This implementation assumes that the video stream is a sequence of numpy arrays, an iterator pointing to such a sequence or a generator generating one. The particle filter itself is a generator to allow for operating on real-time video streams. The following code shows the tracker operating on a test sequence featuring a moving square against a uniform background.